Exeter-Milligan first graders visit the Exeter Senior Center once a month to share activities. Usually they read together and visit but in October the senior center had lots of special activities planned for the students. The first graders enjoyed some special stories read to them by former Exeter Librarian Nina Bartu. After the Halloween stories were read the students got to decorate pumpkins before they shared a snack with the senior center members. 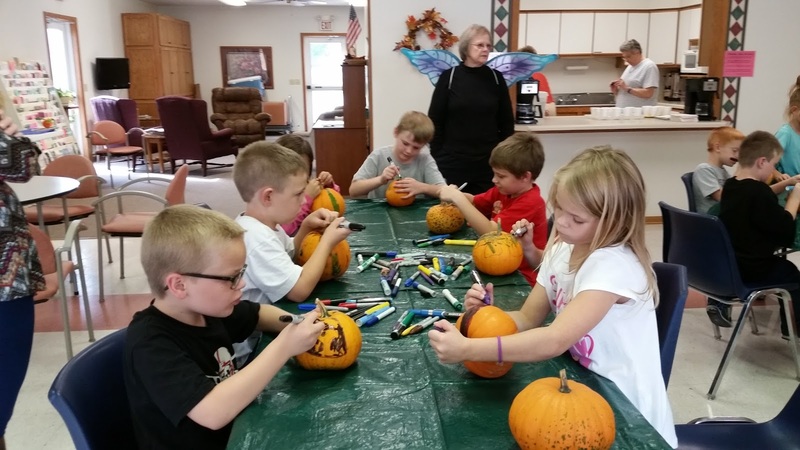 Above - Exeter-Milligan first graders are busy decorating their pumpkins at the senior center. From the left around the table are Deacon Erdkamp, Richard Hickman, Kayden Hale, Kalvin Lock, Aaliyah Million. Standing behind the table is Nina Bartu. 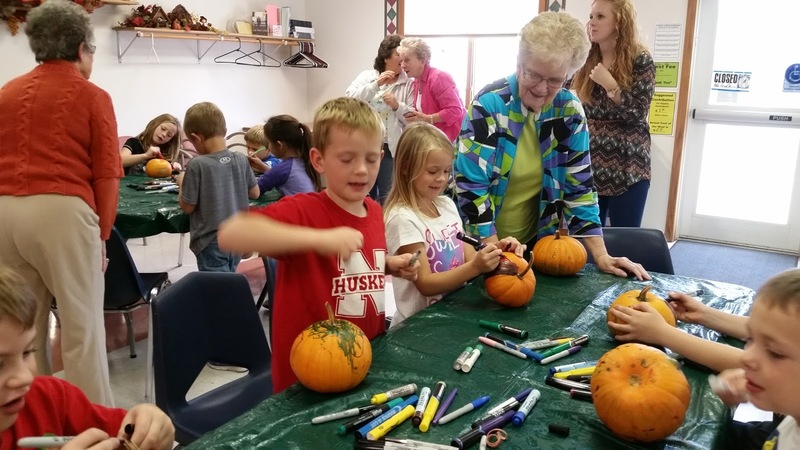 Below – Exeter-Milligan first grader Aaliyah Million gets some advice from Roma Rhodes on pumpkin decorating techniques at the Exeter Senior Center on Wednesday, October 19th.